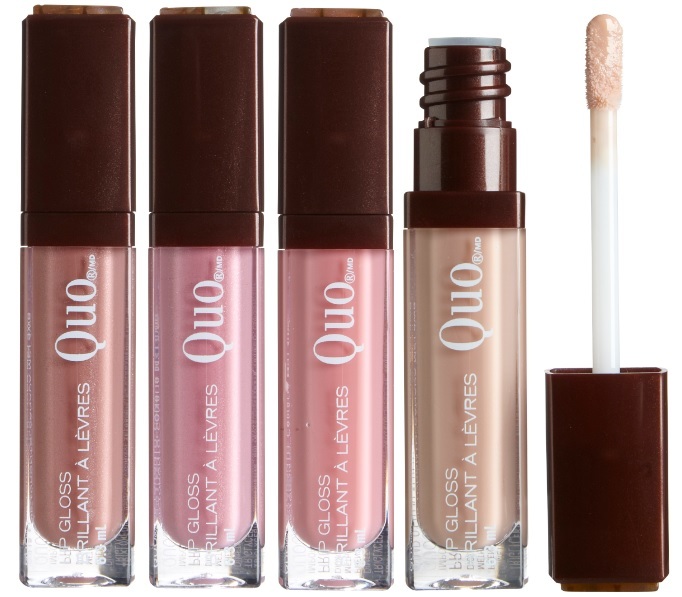 Quo Cosmetics Spring 2014 Collection awakens your spring beauty senses with splashes of colour for eyes, warm neutrals for cheeks and petal-perfect gloss for lips - complete with one-of-a-kind iridescent mosaic packaging. Arcade Eyebrow Palette - $12 - with 2 brow powders, a setting wax and double-sided applicator brush. Spring Brush Set - $60 - features 8 essential brushes with pearl handles including: Powder, Blush, Foundation, All Over Shadow, Shadow Smudger, Crease Blender, Liner/Brow and Concealer brushes inside a cosmetic bag for storage and protection. Available mid-March exclusively at Shoppers Drug Mart. Oooo the Bare Minimum Face Palette looks promising! I'm actually so disappointed in this collection! Might try the glosses, but nothing here is that exciting! Cute Alert - Clinique Cheek Pops! Kérastase Nutritive just got even better! OPI and Gwen Stefani Collection - with swatches! Beauty's in the bag with Quo, Sephora and mark. !